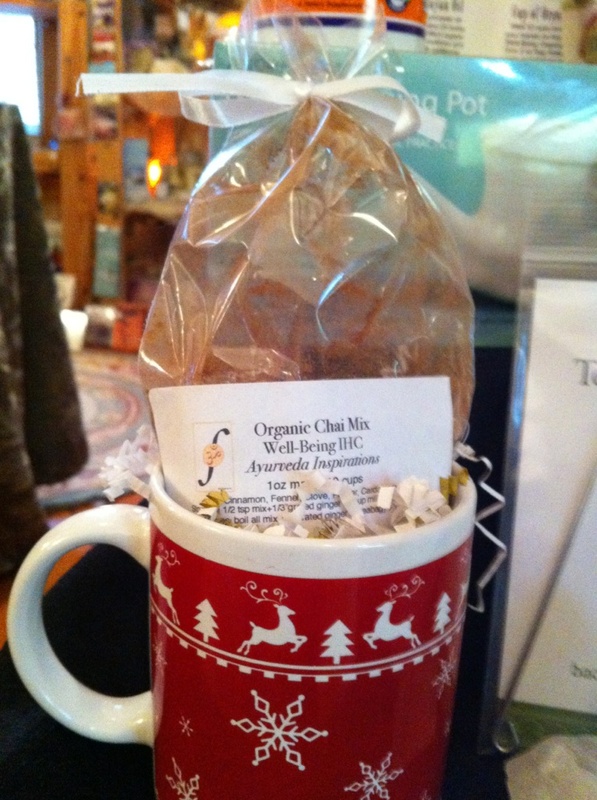 Holiday Season is here and what better way to warm up with your loved ones than with a delicious, cup of organic Chai! Chai tea is the modern beverage of choice for holidays with its rich cinnamon and warming clove scent. But, did you know that Chai was initially an Ayurvedic digestive aid that dates back 5,000 years? Chai spice blend originates from the use of digestive spices such as cinnamon, cardamom, clove, pepper and fennel seed. Chai is traditionally sipped with or after a meal. Each spice is responsible for stimulating your appetite and helping your body acquire the nutrients it needs. And, original Ayurvedic Chai does not contain black tea to avoid the irritating and astringent qualities of caffeine. 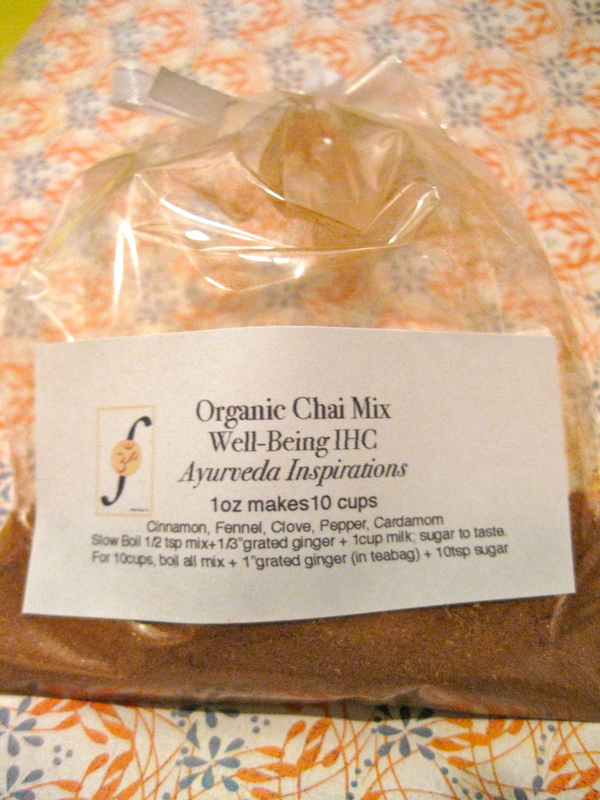 I’ve developed a delicious organic blend of Chai mix that is tea-free and yummy to the tummy! Each bag makes 10-12 heartwarming cups of Organic Chai that can be made with your favorite creamy beverage including milk, rice milk or my favorite, almond milk. Veda Health Organic Chai Mix is available for only $6 at Soulutions for Daily Living in Newtown, PA and by order (shipping applies for non-local orders). It makes a wonderful Christmas, Hanukkah or Housewarming gift for the holidays! So, give the gift of deliciously good health!